In 1971, Kathy moved to the Ocala area from Miami with her husband. Since then, she has been actively involved in the Florida horse industry and has also developed several large horse farms in the area. Over the years she has volunteered within the Marion County community in several capacities. She is honored to have served as a President of the Florida Thoroughbred Fillies, a local women’s group dedicated to serving charities throughout the county. Through her experiences over the past 27 years as a realtor, she brings a wealth of knowledge and experience to the table. In an increasingly challenging industry, Kathy is a professional dedicated to helping clients achieve their real estate goals, no matter what. 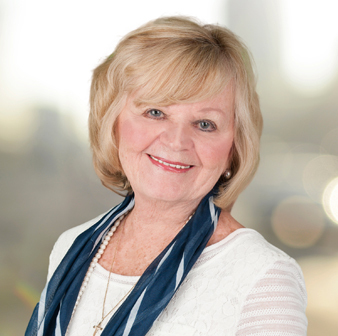 As a member of the Ocala/Marion County Association of Realtors & a longtime member of the Million Dollar Club, she is ready to put her experience to work for you! I love having the option of sitting downtown at the gazebo or enjoying the beautiful countryside with the horses. The challenge of finding the right place for my buyers and getting the best price for my sellers. Almost any spare time I have is spent either visiting my grandkids, volunteering at my church, and watching my beloved Seminoles. I have my rescue dog, Pickles Von Prater.